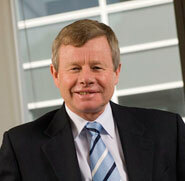 In a recent speech Australian Information Commissioner Professor John McMillan flagged important developments since the Freedom of Information reforms of 2010. In addition to highlighting some positives he also explored a couple of gloomier themes including the absence of government leadership on the transparency and open government fronts at a time when these issues enjoy more prominence than before in international affairs. Time for others to speak up as well. "The number of requests to agencies and ministers has increased, from an historic low of 21,587 in 2009-10 to 24,944 in 2012-13, including an 85% increase in the number of non-personal requests. which includes requests from journalists, parliamentarians, researchers, lawyers and community groups.."
"The estimated cost of administering the FOI Act rose from $27.5M in 2009-10 to $45.3M in 2012-13, plus an additional $3.1M for the Information Publication Scheme and approximately $5M for OAIC FOI and information policy work.."
"The number of applications for external merit review has risen – from 110 applications to the AAT in 2009-10 to 456 to the OAIC in 2012-13.. In 2010 the Government estimated that the OAIC’s budget would support 100 staff to cover privacy, FOI and information policy functions. This staffing level has never been met..there has been a steady increase in the OAIC’s caseload – in the last year alone, a 20% increase in FOI and privacy phone enquiries, a 28% increase in written enquiries, a 9% increase in privacy complaints, a 13% increase in FOI complaints and a 10% increase in IC review applications. Another new unfunded OAIC task is to prepare for major reforms to the Privacy Act that commence in March 2014 and that require the OAIC to prepare more than 50 legislative instruments, codes, guideline statements and guidance notes. The inevitable consequence is a delay in throughput. At the end of September 2013 there were 60 unresolved FOI complaints, 451 unresolved privacy complaints, and 510 unresolved IC reviews. More worrying is that new FOI complaints were not being allocated to a case officer until 196 days after receipt, and IC review applications until 228 days after receipt. This is contrary to a declared object of the FOI Act, ‘to facilitate and promote public access to information, promptly and at the lowest reasonable cost’ (s 3(4)). "Cultural change is occurring within government.."
"A related concern is that agencies may seek to game the system by denying access in the expectation that review applications will sit in an OAIC queue (a perception that we counter by active management of cases from the date of receipt). ".... It has been disappointing that the special Executive position of Minister for Privacy and Freedom of Information was discontinued in November 2011; there was no Government response to the report, Review of Charges under the FOI Act, which the OAIC was asked to prepare for Government in February 2012; there was no government response to other seminal OAIC publications, such as the Principles on Open Public Sector Information and the survey of proactive publication practices, Open public sector information: from principles to practice ; there was no ministerial contribution to or representation at the OAIC event to mark the historic 30th anniversary of the FOI Act in 2012; there was no take-up of a suggestion in an IC review decision that ministerial appointments diaries be published on the web, as they are in some other jurisdictions; legislation to entirely exempt the Parliamentary departments from the FOI Act was moved quickly through the Parliament in May 2013 before the Hawke review had reported, and contrary to a submission to that review from the Parliamentary departments; and in three IC review decisions in 2012-13, I had to reverse decisions in the Prime Minister’s Department and Office, declining to release correspondence from a former Prime Minister, diary entries concerning meeting dates with cross-bench MPs, and the acquittal of Parliamentary entitlements." "A third area of disappointment is that Australia, one of the first countries to enact FOI legislation and more recently to launch Gov 2.0 strategies, is now falling behind the open government momentum in some other countries.. We have been slow to join the international Open Government Partnership that was formed in September 2011 and that now boasts 61 member countries. We do not have a detailed national open government action plan, as do the UK, Canada, the US and many other countries. Nor have we adopted the Open Data Charter launched by the G8 nations in June this year. [F]or years I’ve argued that there is a golden thread of conditions which allow countries to thrive: the rule of law, the absence of conflict, the absence of corruption, the presence of strong property rights and institutions. And open government should be woven deep into the heart of this thread." Who's up for Integrity awards?